NYC Parks Wildlife Unit staff install one of the sound recorders. 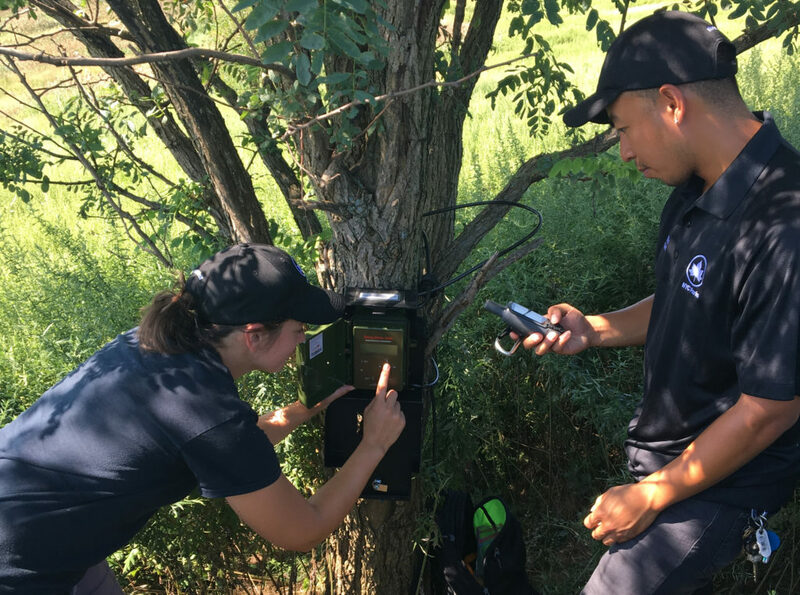 This summer Freshkills Park staff and interns partnered with the NYC Parks Wildlife Unit to evaluate differences in ambient noise levels between two areas of the park. To track the noise levels, sound recorders were placed at corresponding locations on North and East Mounds. This sound study is part of a larger ongoing project to understand differences between the grasslands in these two areas. While only being separated by a creek, East Mound boasts higher levels of nesting bird diversity than North Mound. Other studies have indicated that the presence of human generated noise can affect the presence of animals, particularly birds. Due to this, staff wondered if ambient noise levels were influencing bird nesting locations at Freshkills Park. Two recorders, one placed on each mound, tracked ambient noise levels between August and September. The Wildlife Unit moved recorders to different locations on a weekly basis, rotating through each of the cardinal directions. Once the recordings were collected, staff used computer software to average all of the recordings over the day to determine the average noise level for each day at each location. 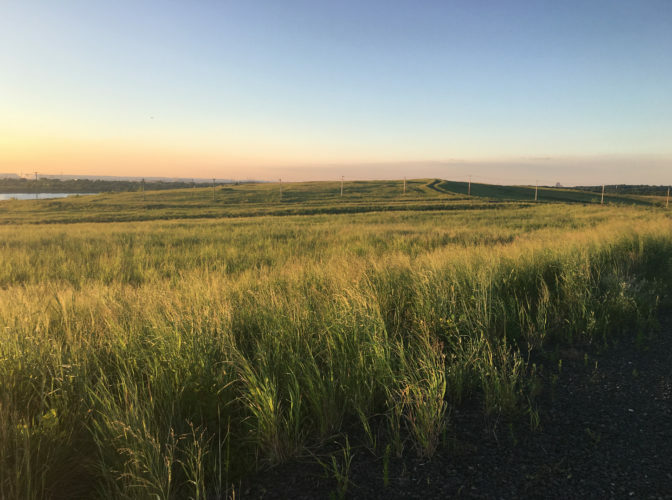 At a time when grasslands have declined across the country, the reclaimed land at Freshkills Park is providing a habitat for grassland bird species. Based on the data comparison, there is a slight difference in noise levels between the two areas. Despite the fact that East Mound has higher levels of nesting bird diversity, the area is slightly noisier than North Mound. The higher noise levels on East Mound are consistent and statistically significant, but the magnitude of the difference is small. Therefore, it’s unlikely that these ambient noise levels are a big factor for birds nesting at Freshkills Park. This study contributes to our growing understanding of the ecological interactions at Freshkills Park. As the park’s ecosystems grow and develop, new species are added to the growing network of relationships that form within the park. It is important for us to understand these interactions in order to best protect and cultivate them. This project may also be expanded upon in the future. For updates on this and other research projects, join the newsletter and follow @freshkillspark on Facebook, Twitter, and Instagram.